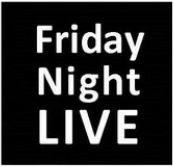 Join guest host Joel Grinke and friends for Friday Night Live on April 10th and 17th! For two weeks only we explore an alternative format for FNL, using multi-media, live performance and real life stories. Friday Night Live is located at The Cube at Lynn Valley Village Square in North Vancouver. Taryn is thrilled to be involved with this upcoming production of What You're Missing by Tamara Micner in the 2015 Chutzpah! Festival. Taryn will be the Production Assistant and Assistant Stage Manager for this show. What You're Missing is being directed by John Cooper and will run from March 10th-15th at the Norman & Annette Rothstein Theatre. Taryn will be creating and performing as a member of Loose Leaf Collective in this interdisciplinary piece at ﻿the Roundhouse in Vancouver. She will also be taking on the role of Co-Technical Director and will be the Head of the Lighting Design team. 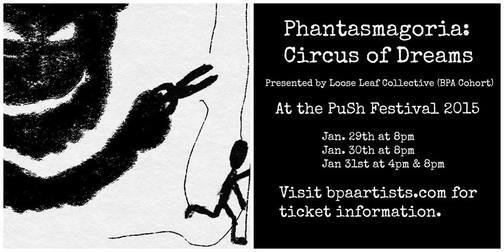 Phantasmagoria: Circus of Dreams will be presented as part of the PuSh International Performing Arts Festival from January 29-31st 2015. 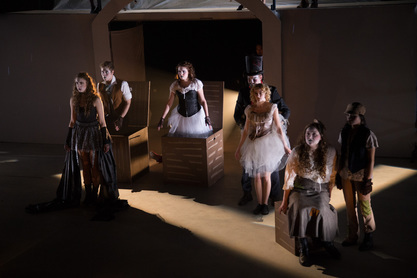 Dare to enter Phantasmagoria: Circus of Dreams, where you will witness 23 artists fusing their talents to transport you through the landscapes of sleep. Suspend your sanity as we expose the inside of the mind’s circus. Join us at the Roundhouse for a séance of the senses. 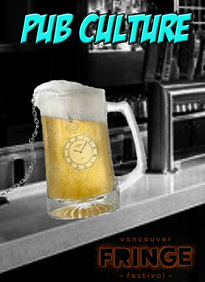 Taryn be performing in the Vancouver Fringe Festival as the character Jade in Loose Leaf Collective's event Pub Culture on September 13-14th 2014 at the Backstage Lounge. 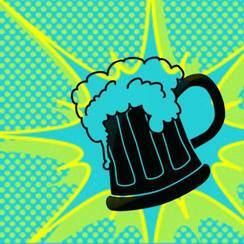 Join 23 artists as they explore the differences between past and present day socializing. You will be immersed in an interactive experience that takes over the Backstage Lounge. With something to see in every corner, you’ll want to put your cell phone down for a while.